The Riverside Courtyard. The Glorious Wye. Multi-Coloured Festivity. Fire-Pits. 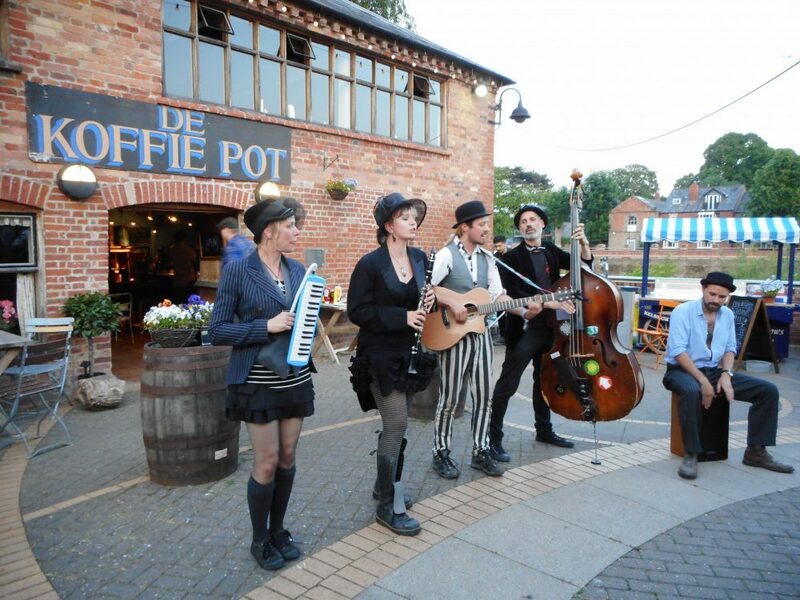 De Koffie Pot and the riverside courtyard has already become a much-loved spot by Herefordian’s to watch the swans go by and enjoy a real ale or local cider, be it on a frosty morn or in the Summer sun. Late at night you can huddle round the fire-pits and you’ll be sure for an interesting natter as they seem to attract quite a creative crowd. And on Friday nights when the weather isn’t bitter, you’ll hear jazzy tunes surfing the air from our multi-coloured bandstand. We host regular festivals and fairs. Already we’ve had the Three Choirs Festival, The Hereford Contemporary, A Day of the Dead Festival, Ministry of Sound, A Blues Festival, An Etsy Fair and more! The riverside courtyard is the heart of The Left Bank Village and the perfect place to spend the day, the evening, or your whole life! !